There’s been a lot going on in the background here at UbieDesign towers over the last few weeks! We have been busy designing some new classes and teaching record numbers of students, both newbies and returners! Which has been wonderful! 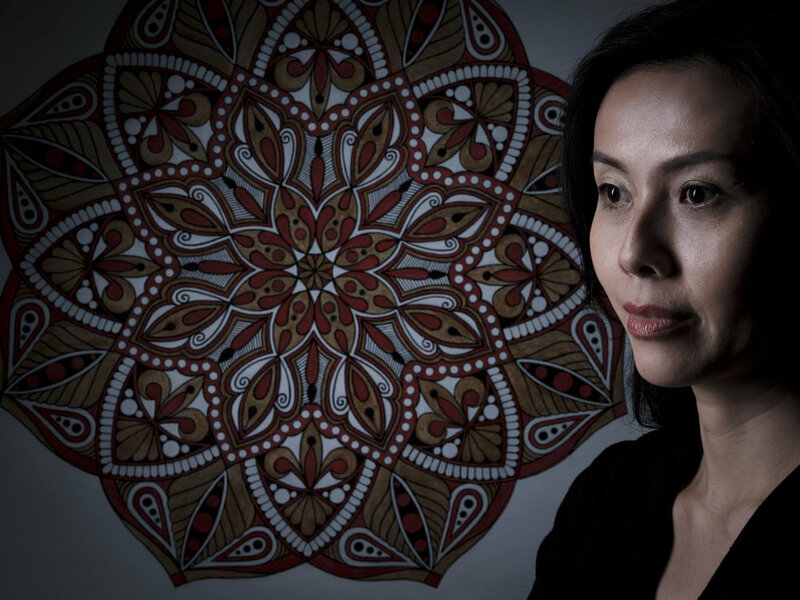 Ubie will be creating a range of Mandala artworks for a prestigious private hospital opening in Shanghai in Spring this year. The work will be displayed throughout the hospital but also in patient bedrooms to create a relaxing vibe whilst recuperation is under-way. The artist’s studio! Complete with views of squirrels, trees and neighbourhood kittys! Really fun playing with the light, the poses and the props to create some super shots! The old man even got a look in! Here’s a couple - we are really looking forward to seeing the final images! The hospital business is called Circle Harmony. How perfect a fit is Mandala art for that ?!! As the original artworks will be available for sale, we have been exploring having high quality prints made! Here’s some pics of the amazing scanning machines in action at Cultural Heritage Digitisation (@CHD). With 20 years of experience running the photography dept at the V&A Museum these guys really know their stuff!! It made for a very interesting couple of hours and we are looking forward to having some large prints made! One of which will be in the living room idc for sure! Keep an eye out for our updates as Ubie create the works! Lots of ideas & lots of inspiration for your work !